H2K Design and Botesch, Nash & Hall, P.S. Located about 25 miles north of Seattle, Everett, Washington, is home to Boeing's massive assembly plant, not to mention the second largest marina on the west coast. With gorgeous views of the Cascade Mountains, the busy suburb is a favored location for meetings, receptions, banquets, and trade shows. The town's conference center (named in honor of the town's former mayor, Edward D. Hansen) also showcases the city's public art collection. A new three-story space with a versatile, 12,000-square-foot ballroom was recently added to the complex. 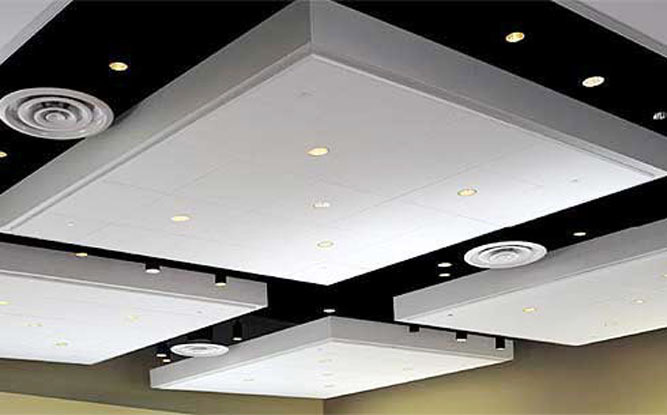 Designed by H2K Design and Botesh, Nash & Hall, it features an attractive ceiling with an array of suspended squares ("pods") that control sound with Techstyle® acoustical panels. 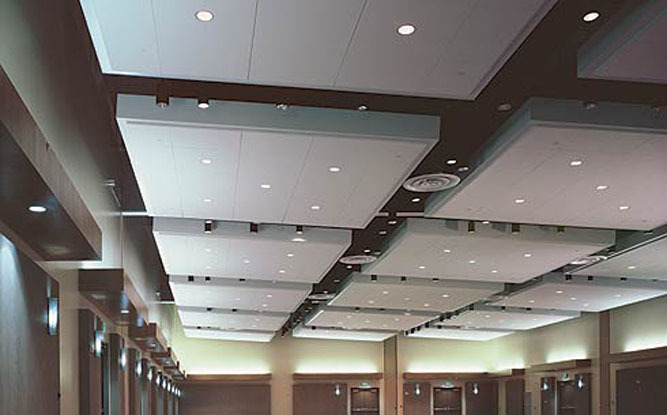 The methodical arrangement of pods seems to float above the ballroom, providing visual interest and helping reflecting light back into the space. 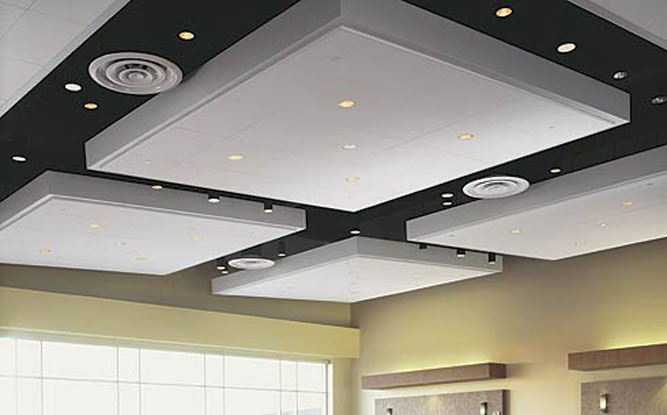 More importantly, the Techstyle® panels' exceptional acoustical performance (NRC=0.85) improves the room's acoustics by reducing noise at both high frequencies (voices, music) and low frequencies (mechanical systems).